A perfect day for a drive in the country. 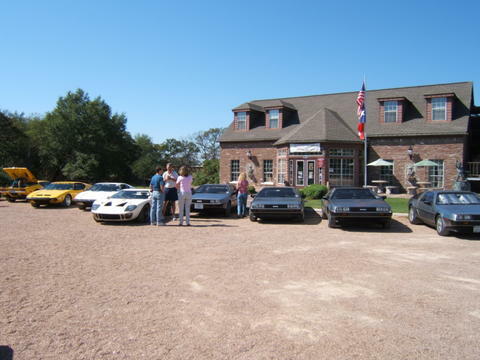 #1, An intermitent stop at the Lawrence Marshall Antique Car Museum, at about the half way point. 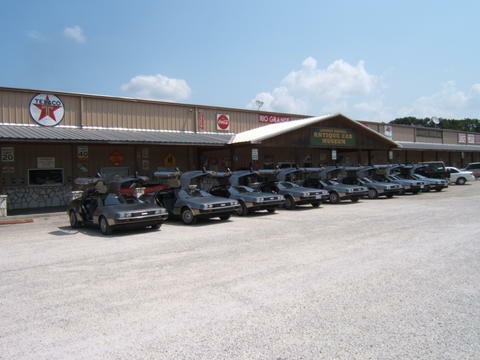 #2, Eight DeLoreans managed to have parking right up front. 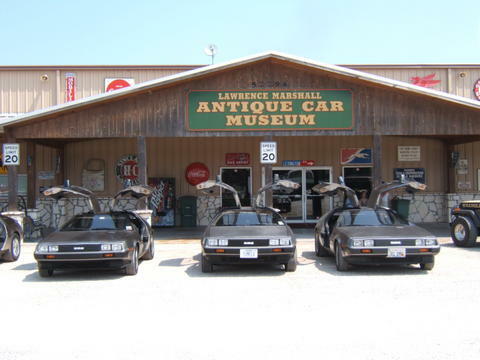 The museum reserves the close-in parking for the finer automobiles. #3, Looking thru a line-up of all eight cars. #4, A line-up view from the back. 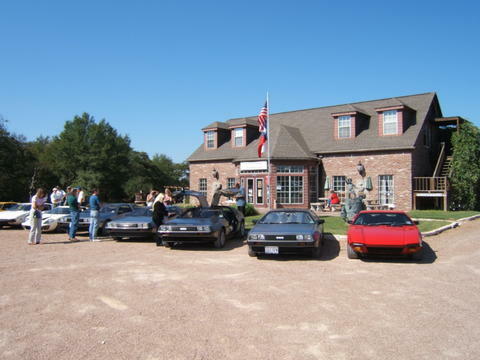 This is the infamous DeLorean-Pantera joint venture trip to Messina Hof in central Texas. 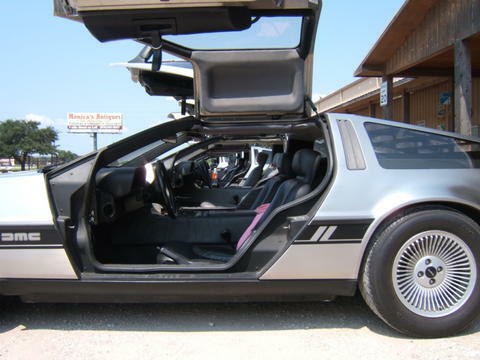 I understand the DeLoreans really showed those Pantera guys what driving a cool car is all about. 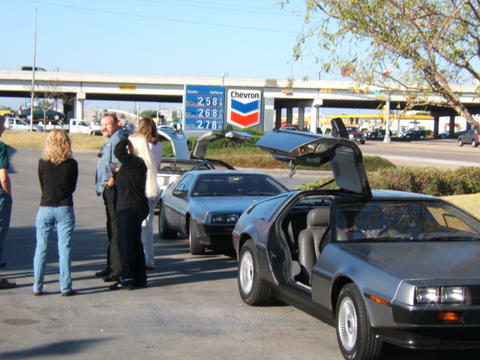 #1, DeLoreans at a check point along the way, waiting for those Pantera guys, whom always seem to be running late! 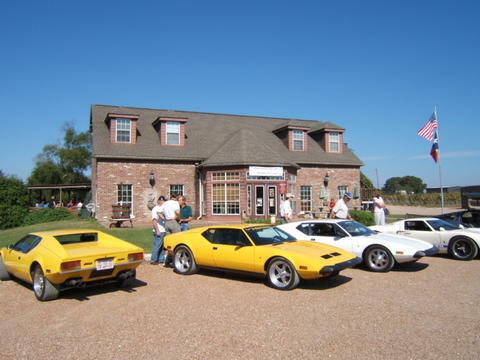 #2, Waiting at the winery, the Pantera guys finally arrive. #3, Participants appear to be stunned the Pantera guys finally made it. 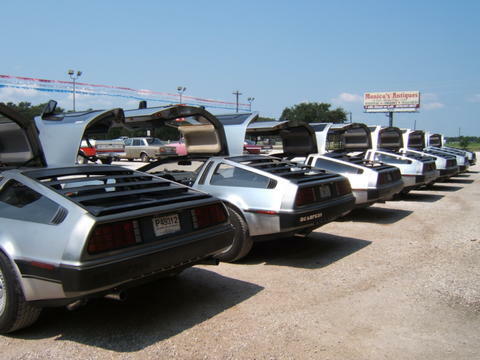 #4, DeLoreans and Panteras inter-marry..., uh, woops...I mean inter-mingle out in front of the winery.